Here we are, the day has arrived. The drawbacks on this high tech, fast information delivering world in that the old days of getting the album on the day and hearing it for the first time are over. Not a good thing in my view, the younger generation missed out on that joy. This way of entering the world of new Elton music is dry and sterile. But it is as it is, so not being a total Luddite, I must use the streaming facility on offer to form an opinion. The intro has me hooked, typical Elton to get my ear!! The lyric about about a compatriot of mine, Bernie name checking Dublin is a real nice touch for me. Similar to the live version, but the live version has that oomph into try for triumph aspect. Banjo, anyone...the chorus is a real foot tapper; the weaving 2Cellos give it a nice distinctive flavour. A great melody on this one, easily one of the top 2 songs on the album. No surprise why they showcased this song to promote the album. The bridge is Elton present and correct, gosh he kills this one. Definitely in the band set list for a while yet. Here tonight, gone later tonight fans, tough luck...I really love this one!! A mid tempo intro here, Wild West homestead lyrics have Bernie on familiar ground. Which he always does well. And he does very well here. Bernie is on top form so far on this album, he's not painting pretty pictures, he painting plain and simple life. Doyle Bramhall on guitar isn’t flashy strangely, a nice tasteful twang. If anyone remembers his part on the In The Flesh tour of Roger Waters around 2000 will know he totally overplayed, overegged the delight of Shine On You Crazy Diamond. Out maneuvering Gilmour, not good in my book. Anyway, soulful backing vocals with soulful piano combine well. Nice jaunty ride along on this one, some great funky licks hidden on the chorus. Really getting the groove of this track, great chorus. this album is going great guns. Exceeding my expectations...Elton you old devil, you had me worried for a while!! A serious piano intro now, a shimmering tambourine hollering like a rattler in the desert. It slapping along with the piano, Bernie's lyric is giving Elton another character of pity to tease out. The serious tone isn't without it's ligher moments, the rhythm gradually kicks in and lifts the aural feel. Low humming vocal harmonies coupled with similar cello add that much needed variation, Elton does some great piano work on this, the right moments are properly exposed. Thankfully the pace is up again, that last section was a right downer. And then they wonder why track skips are on CD player, anyway this one has Bernie again on the doomed love track again. Something he's done better on other albums, When Love Is Dying being one of the all time greats, only just this last album. Elton's melody is pretty, unremarkable with a light swagger. Probably thinks it's better than it is. Middling. People bandy about the word 'classic' like snuff at a wake. Whilst this song isn't a classic at the moment, it could enter the hallowed halls very soon. Easily one of the top 2 tracks on the album. The melody is the most adventurous, not difficult when you compare to some of the other tracks here. Tracks later on put it into perspective....the melody is expansive; the lyric is an everyman/woman tale. The bridge is stunning, first time I heard this full length version that was the moment. Yet again can see why they put this out first and it's doing the live rounds. Cold harsh piano appears now, actually this one works. A far better sound to the previous effort, simple yet effective. Too short unfortunately, that instrumental album must come soon. Too short to rate properly. Again. To sum up, the album started great. I mean, the opening fours songs were very strong, consistent and distinctive. Then the first dream started...not a nightmare, but more a restless sleep. Then apart from Home Again with a stunning break in the run, a raft of uninspired ballads appeared. They didn't really add to the album or say anything inspired or stood out. Bernie's lyrics on this one are at their best when dealing with the characters and places. When the love is flat lining songs appear, there's nothing new or fresh being said. Not in 2013 anyway. 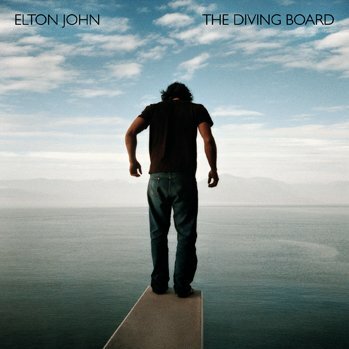 Elton's piano playing as per usual on these last two albums are the standout. Along with his vocals. Though at some points you know he's trying different things with it, some work, others less so. But we’ll take it, hear it and see where it takes us over time. When Elton is Elton...his voice and his piano, there's nobody can coach him. He doesn't need forcing or coaxing. The Messi of the music world...just think it and it's done. To the producers credit, he did as he wrote on the tin and let the piano shine through. A device that works well when the song isn't up to par...a bracket a few here unfortunately fall into. The producer...look, he's not my cup of tea. Never was, never will be. Not with The Union, and certainly not with this one. Yeah, Elton went for him to try something different. Is this album different from any other(more on that point later), but different doesn't mean it'll be good or any better. Or worse of course...empty glasses and all that. But is this album a radical shift? Eh, no. His(producer) hands are all over it...the drum sound is his. Or should I say duffle bag sound. The discreet instrumentation is his trademark (a radical shift from The Union where everything seem to blend into mush). And that's the problem, on the songs that don't quite go over the line he's missed the trick. Other producers of Elton's in the past would found a suitable layer to wrap onto a song that make it more intriguing. Not o fool the listener, but distract him in a nice way. His narrow production policy ultimately left him with little room to maneuver, if the songs were all top notch then he could have proceeded with that policy without the hang-up of some not so great songs being exposed for all to hear. If he had heard the demo's first, assuming if Elton even did any, then he could have had a bit more leeway in his approach. Anyway, I don't want to talk about him anymore. I think he's cooked his goose with Elton, The Union was his 'big' sound, this is the 'little' sound statement. I don't think they've anymore to get out of each other, the producer doesn't have the variation in approach, in delivery of product or the editing(more on that later too) as say a Gus Dudgeon would. Unfair to compare, but that's what the premise of the album was. So they wrote their own publicity, they have to run with it. I don't think we need another album with this producer, thanks for your efforts but now step aside and give us the real Elton sound back please. And our band. I mentioned compare a moment ago. Because that's all we've heard over the last 18 month's or so. It's like this, that and the other. Specifically, 17-11-70, Tumbleweed Connection and Madman Across The Water were mentioned in dispatches. Is it like any of those albums? Not in a million years, if I were to detail everything on those albums not here on this one, it would be like roll call at Trident Studios. Does it have the same excitement as the live album in that lot? No...where's the unexpected leaps and drops. Dream #3 oddly enough has the most adventurous moment, short as it is, it catches Elton doing some nifty gear changes and broken rhythms. But it's too short!! If the whole album was filled with those moments, well you know yourself. As regards the two studio albums mentioned, well play them both before this one and listen then to The Diving Board after. Stark isn't it...it's unfair to those early classic albums to have this one compared to it. As it is to have the newer one being mentioned in the same breath to line as those ones. They both have their own lives, this one will to. How does it compare to the albums of this decade pre the Union? It falls behind all of them I’m afraid. Oddly enough, even though The Union isn’t one of my favourites, it seemed to be a more fun album than this one. The Leon effect no doubt. Might be crucial when General Public matches in for a sampler…whether it has the legs to run as far as it's elder brothers, that'll be up to Elton and the band to breath life into them onstage. I trust him and the band on this one.